Perfectly accessorizing my client's look is a key part of my job, from red-carpet moments to outfits for television appearances and more. There's something so special about adding jewelry to your look, and when it comes to the one piece you can always find in a fashion girl's accessorizing lineup, it's a pair of classic studs. Whether you're more of a sparkle-and-shine kind of girl, or you opt for a unique design for your ears, signature studs are the first step toward elevating your personal (jewelry) style. Update your selection of stylish studs with my favorite picks below. Very into the chunky gold surrounding this beautiful rock. You can't go wrong with these sleek round studs. Add your name to this waiting list stat. An updated take on the simple bar earring trend. If you're looking for something a little more playful. A hint of pink never hurt anyone. A classic piece you can hand down to generation to come. Simple with a bit of shine. Add a little color to the mix. These look way more expensive than they really are. 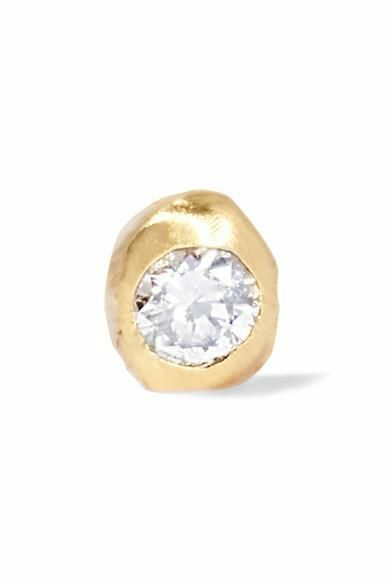 These solid studs also come in gold. Add this to your Valentine's Day list. Every girl deserves some Cartier. I love the idea of wearing these with several other gold studs. For the girl looking for a subtle amount of sparkle. I'm seeing the rainbow jewelry trend more and more. These stunning earrings are sure to up your jewelry game. These would make for a perfect gift. Submit a style question here stylist@whowhatwear.com for Erlanger, and check back next Sunday to see if she answers yours!